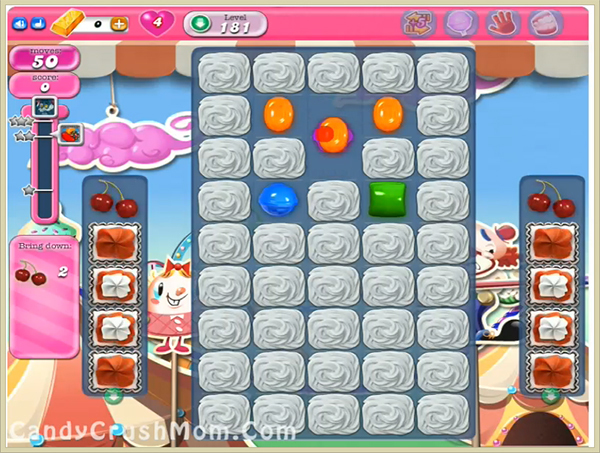 This level is hard ingredients are stuck on single column candy board part. For this level first try to break meringue blocks then make special combo in middle of board beside to blockers that blocks ingredients. You need to use striped candies, wrapped candy plus striped candy or colorbomb with striped candy to break blockers on left and right column so ingredients can come to bottom. We completed this level with 130700 score using special combos that we posted above within 37 moves and rest converted to striped candy that help to complete this level with three star score.